On Monday evening, the tech world was dialed into Nvidia's (NVDA - Get Report) keynote presentation for its GTC 2019 event in San Jose, CA. Following the company's presentation, shares are up 4.65% on Tuesday to $176.76. 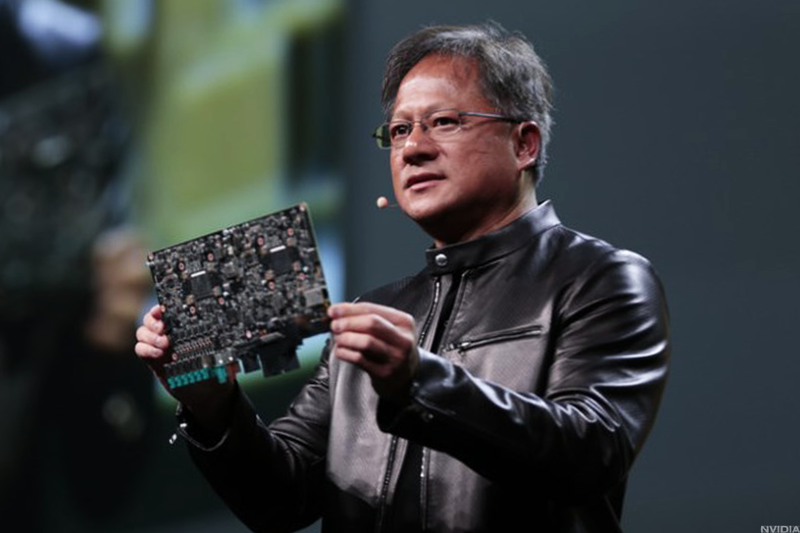 The event is one loved by many -- so many, in fact, that Nvidia had to find a new venue for this year's keynote presentation by CEO Jensen Huang -- as the innovative GPU company showed off new products and announced new partnerships. Being one who covers the autonomous driving segment, waiting until the end was admittedly somewhat tough, but Huang didn't disappoint. Aside from announcing Release 9.0 for its current autonomous driving capabilities, which includes updates like real-time mapping, the company also announced an end-to-end partnership with Toyota Motors (TM - Get Report) involving autonomous driving. Unlike Nvidia's continually evolving partnership with Mercedes-parent Daimler (DDAIF , the deal with Toyota links Nvidia to one of the world's largest automotive manufacturers. Exciting as the news is, though, this isn't how Nvidia is going to change the autonomous-driving industry. That will come from Constellation. Will Nvidia Dominate Autonomous Driving? Nvidia's Drive Constellation platform was unveiled last year, but management was quick to note that the product was not yet available. Autonomous driving is obviously quite complex, but to keep it simple, Constellation works like this: There are two servers, the first of which runs Drive Sim, allowing developers to run a vast array of virtual driving situations. The second server runs a Drive AGX Pegasus, which is the A.I. computer for an autonomous vehicle. To the car's "brain" operating via Pegasus, it's interpreting each Drive Sim scenario exactly as it would if it were on the road. But since this is all being done on a set of servers -- a "hardware-in-the-loop" setup, as Nvidia refers to it -- it removes the need to test autonomous vehicles in the real world. This is a huge step forward for the autonomous driving industry, as it allows companies to log billions of simulated miles vs. millions of real-world miles. Not only does the learning curve accelerate dramatically as a result, but so does the safety. Simulation is key to bringing level 4 and level 5 driving to the masses and Nvidia's leading the charge. A company like Alphabet (GOOGL - Get Report) (GOOG - Get Report) already has its own simulation, which has allowed Waymo to build such a substantial lead in the self-driving car race. But many other autonomous programs are behind and Nvidia's Constellation can help them catch up. This is important for the industry as a whole, because while Nvidia is partnering with Daimler and Bosch to help them bring a robo-taxi business to market, Nvidia isn't building an autonomous vehicle. It's building the tools, equipment and software -- the ecosystem -- that everyone else needs to bring self-driving cars to market. With Constellation, automakers and testers can run their systems through a near-endless amount of scenarios. Instantly they can change the test run from sunrise to sunset or any time of day. Add rain, snow, sun or sleet. Change the visibility, add or subtract traffic and throw in a swerving car or a blind-spot merge. This is so much more efficient than having to wait for some of these rare encounters to pop up in real-world testing, and it's far safer than encountering them in the real world. By running multiple simulations simultaneously and being able to run them over and over again, autonomous driving companies will be able to make rapid changes to their software, whether its rare-encounter situations or routine driving routes.